Summer Place #1 ranked vacation home on LKG! House, 6 Bedrooms, 5.5 Baths located on main lake. All the 'typical' information is listed below, however, the reason that this home was recently ranked (by far) as the #1 ranked vacation home is because of the spectacular combination of views, quality of home, quality of detail throughout the entire home. The owners spend an average of 60 nights+ per year at the home with their family and are constantly monitoring the home and adding upgrades each and every year. We recently hired a house manager to add even more value to our valued guests. Quite simply, our job is to make "Raving Fans" out of every family that spends time in our home making memories of their own. Underwater fishing lights that allow you to see the water come to life with huge fish once the sun goes down. Our kids have caught over 1,000 fish right off the boat dock over the years. From small an fish to trophy catches. 10 year old Zack has the longest fish (40' gar) and 12 year old Jake has the heaviest catch in a 40 lb catfish. Sonos system on the boat house and in the main house. Control your own music from your iphone/droid with a free app. 65' samsung smart HDTV in basement. Double Boat House with trex decking and Party Deck on top. Great outdoor furniture & 5' yeti cooler for guest use. TV and shaded sitting area on boat house. Summer Place boasts a full 1 acre homesite and is located in private, gated community of Harbor Landing. Harbor Landing is one of the very few sub-divisions on Lake Gaston that has its own private boat launch, making getting your boat in and out of the water easier than ever. This home is located on the coveted “Main Lake” with incredible main lake views. Its perfect location gives the best views of evening sunsets. When looking at a map of Lake Gaston, Summer Place is located on the SW Quad of the lake at main lake mile marker #14. Master suite- located on main floor of home. 550 SF Master Suite with King size bed and private bath including: walk- in glass block shower with duel heads and body sprays, dual sinks, private toilet area, and walk in closet. Direct Main lake view from triple window. Satellite HDTV with DVR. Bedroom #2 - located on the 3rd floor of home with queen size bed and private bathroom. Very comfortable room with private sitting/reading area adjacent to window providing full main lake views. Satellite, HDTV. Bedroom #3 - located on the 3rd floor of home with queen size bed and private bathroom. Very comfortable room with private sitting/reading area adjacent to window providing full main lake views. Satellite, HDTV. Bedroom #4 – located on 3rd floor of home with queen size bed and private walk-out balcony featuring comfortable rocking chair and private wooded views of front of home. Not unusual to see wild turkey, deer, raccoons, and even an eagle from time to time. Satellite, HDTV. Bedroom #5- located on lower level and features 2 Queen size beds & 1 set of twin bunks, full private bathroom, plush carpeting, 42' Satellite HDTV. Main Lake view from triple windows. Bedroom #6- located on lower level and featuring 2 queen beds and 1 set of twin bunk beds, full private bathroom, 42' HDTV Satellite TV. Main Lake view from triple windows. Large lower level living area with sink, ice-maker, dishwasher, two drink refrigerators, bar table. Lower level features 65" HDTV Sat DVR Surround Sound System and full sized windows for lake views. WATER FUN…this is why you come to Lake Gaston! -Largest Boathouse allowed on Lake Gaston! -Jump Gate from upper deck to 20+ feet of deep clean water below…everyone’s favorite! -Shaded sitting area and TV recently added to lower level of boat house. Note: This home fills up solid from Memorial Day thru Labor Day each year...BOOK EARLY! Owners' personal vacation home, limited rentals available in 2019 and beyond. What makes Summer Place different than the other rental homes on Lake Gaston? For several years we owned & managed dozens of beautiful homes on Lake Gaston. We successfully sold that business because it was simply too frustrating to have home owners not invest in their own home for the satisfaction of our guests. We now only own and operate the famous "MacDaddy" home on Lake Gaston and rent out Summer Place on a limited basis. The Daltorio's are a family of 7 who enjoy their lake home. They also offer it for rent when not able to use it due to other activites of their 5 children. Update--It is now 5 children, one daughter-in-law, two grandsons and one granddaughter! Privacy -Full acre wooded lot with vacant wood lot to the west. Not a rental! - You'll quickly see this is a second home with quality throughout, we just happen to rent on a limited basis. Sun sets - Top of the boathouse allows not only 10+ jumps into the lake but also best views of sunsets Fishing - No need to travel...fish right of the dock and catch over 10 different species of fish Swimming - great location and deep clean water with very little boat traffic close to home. Fun X5 - The new Aqua Trampoline with slide & log are best on the lake and anchored just 50 feet of our dock Location - Best location on the lake just minutes from restaurants, bars, marinas etc. by boat or by land. Optional - Best boat available on lake gaston. Rent a brand new (2015) tritoon with 200 hp and tons of upgrades ($77k boat) vs. beat up rentals. When renting from MacDaddy or our home ask about how to get a free sea doo for the week. When you take a vacation at a lake, it is very different from a typical beach vacation. We own investment properties at the beach, but our best memories and vacations have all been at Lake Gaston. A few helpful hints to remember: On the ocean, all homes have beautiful views. On the lake, not all views are created equal. The south side of the lake has tremendous sunset views. The Main Lake views are a must on vacation vs. being tucked away in a small or shallow water cove. Fortunately for us, our home offers the best of all of these options, and our previous renters whole-heartedly agree! Bed linens only are provided for a fee. You will need to bring all towels for your stay. HDTVs with DirectTV in all bedrooms. 65" TV in lower level living area New TVs near hot tub, fire pit and on boathouse. Sonos wireless music system in house and boat house; Sonos app allows music to be played in both locations. Seating for 6 on back deck; seating for 6 on patio below. Two stand up paddle boards. Hot tub with seating for 8 and beautiful views of the lake! Neighborhood has its own private boat ramp to launch your boats. 8 person hot tub overlooking the lake! Rave water trampoline 2 paddle boards Huge firepit area No weddings, receptions, rehearsal dinners or similar gatherings allowed on the property, please! The house was perfect for our group of 8 ladies to get away and relax for a long weekend. Although it was blustery Spring weather we stayed cozy by the fire inside. The kitchen is perfect for preparing and enjoying gourmet meals. The house is beautifully decorated and the view was terrific. Beautiful home and wonderful view of the lake and sunset. Favorite home away from home on LG!! Wonderful place, couldn’t be better, thank you! Had a great trip with the family!!! Awesome house, very well kept! Thank you so much for a great place! We loved our vacation. The house was equipped with everything we needed. The lake views and the hot tub were amazing. 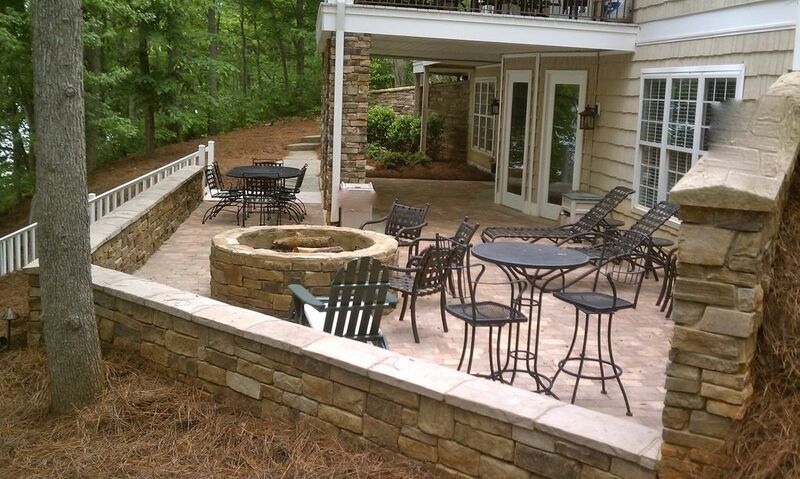 We enjoyed the outdoor seating and the fire pit. Definitely would come back! We stayed at Summer Place with 3 other families and our kids ages between 11 and 17. The downstairs setup of boys/girls each having their own large bedroom and attached bath as well as separate hangout spot was perfect. The kitchen was large, open and had everything we needed and more! The water access and dock/deck were amazing and had nice furniture. The kids had a blast on the water trampoline and jumping off the top level of the dock deck. Great owners, Vicki was easy to work with, fast to respond and very accommodating. It's a gorgeous house and well maintained and also loved that there was plenty of parking too. We will definitely be back!! Thank you for your review! We're so glad you enjoyed your stay at our home. Let us know if we can help you with any future visits to the MacDaddy! “Summer Place” boasts a full 1 acre homesite and is located in private gated community of Harbor Landing. Harbor Landing is one of the very few sub-divisions on Lake Gaston that has its own private boat launch, making getting your boat in and out of the water easier than ever. This home is located on the coveted “Main Lake” with incredible main lake views. Its perfect location gives the best views of evening sunsets. When looking at a map of Lake Gaston, “Summer Place” is located on the SW Quad of the lake at main lake mile marker #14. Bonus: Wooded homesite on one side of this beautiful main lake home is vacant adding greatly to your privacy and enjoyment of a lake vacation. Other Activities: Boating, wildlife viewing, mini golf, and kayaking. Rates are subject to change until reservation is confirmed. Above rates do not include taxes or other fees. Linens (sheets only) are provided on request and for a fee. Rental does not include towels.